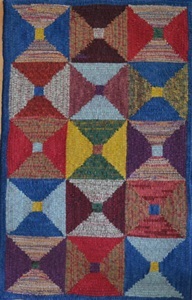 Rug hooking patterns by Carol Shewan. Her styles range from primitive motifs to Amercian Folk Art and are always a treat to hook and display once you are done. 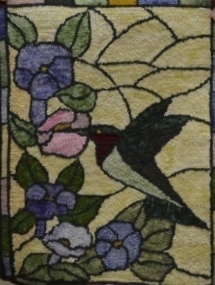 This stained glass pattern is printed on tradtional linen, suitable for cuts #3-#5. Simple yet elegant this is perfect for the bird lovers. A stained glass pattern of loons in the bullrushes. On primitive linen but can be special ordered on traditional. 16x22 on Primitive Linen. Traditional linen is available on request. 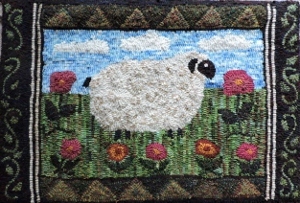 This is a fun rug to hook, check out my blog for another version of her. This pattern is a great way to use up those worms from other projects. Pattern is on Primitive linen and is great for textures. Each square is 6x6.